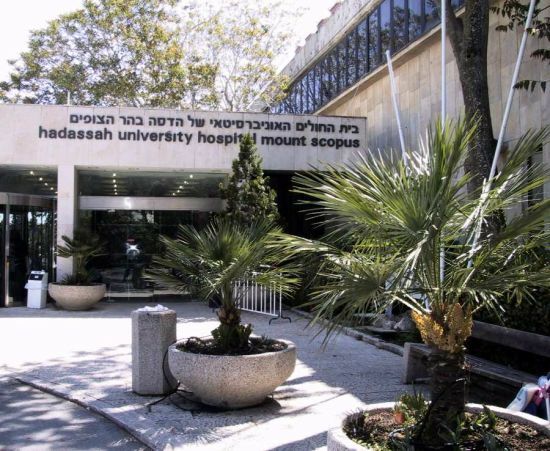 We had an unexpected visit to the emergency room of Hadassah Hospital on Mount Scopus Thursday night, after our Palestinian coworker Yousef was startled by unfamiliar chest pain. As we entered the security door a slapping, pushing, shouting brawl broke out when a young Arab man wanting to see his sick friend tried to push past the Russian Jewish security guard. I leaned over and muttered to Yousef “It’s tohu vevohu in here,” using the words “without form and void” from Genesis which are commonly used in Israel to indicate chaos. I expected a long, frustrating wait and thought about leaving. But first a nurse and then a doctor made a point of inquiring about us and promising prompt attention. We sat on plastic chairs with a small group of East Jerusalem Arabs and an elderly Iranian Jew calling out in Farsi to his wife sitting opposite. The friend of the young Arab man was coughing and moaning loudly on the other side of a sheet hanging behind us. But now, as often happens in Israel, the hospital was a place that brings people together. When I returned for Yousef in the morning, I noticed two elderly Jewish women on the other side of the room were sitting up in their beds and smiling in our direction. Soon one came across and asked to use our phone to call her husband. She asked about our backgrounds, and I told her Yousef was a Muslim and I was a Christian, but that we had a shared faith in the Messiah of Israel. “Don’t talk to me about the Messiah of Israel,” she replied. Only three members of her family had survived the Holocaust, and one of them just happened to be in the Gush Etzion settlement when it was overrun and the inhabitants killed scarcely a month after the Mount Scopus massacre. No, she was personally kind but didn’t want to accept any positive words. Just like Yousef she had an embittered view of her own people and their history. How often what is really going on in people’s hearts is just the opposite of what our stereotypes would lead us to expect.